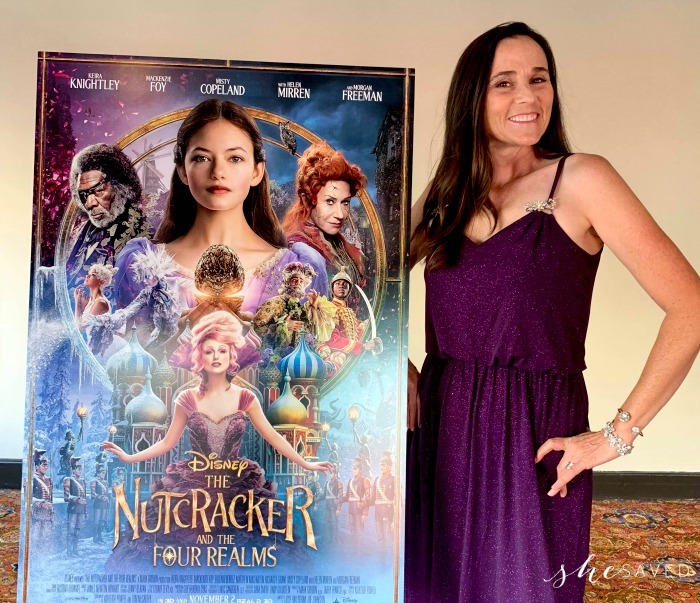 I’m so excited to share that just a two days ago I attended the World Premiere and Red Carpet event for THE NUTCRACKER AND THE FOUR REALMS. 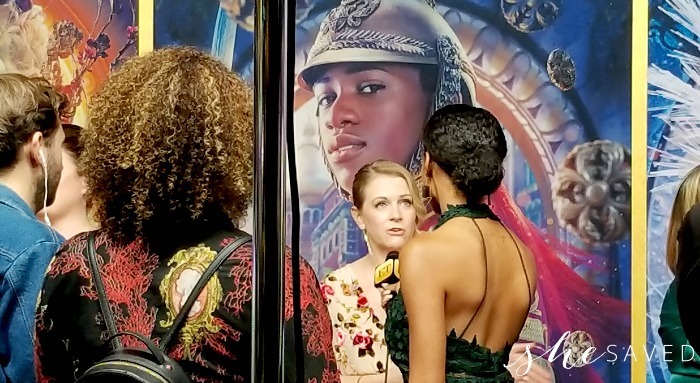 As you can imagine, this was such a neat event to be a part of at not only did I find the movie magical (review coming soon!) 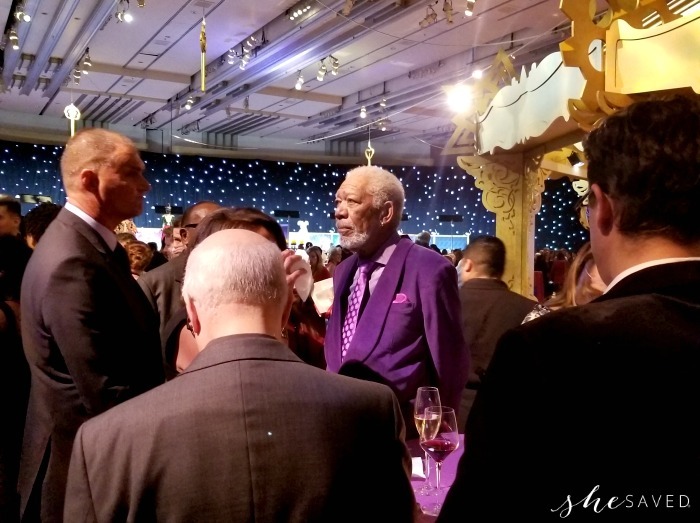 but the event was so full of color and whimsy. Truly fantastical. Right after cast interviews (look for those to come soon!) 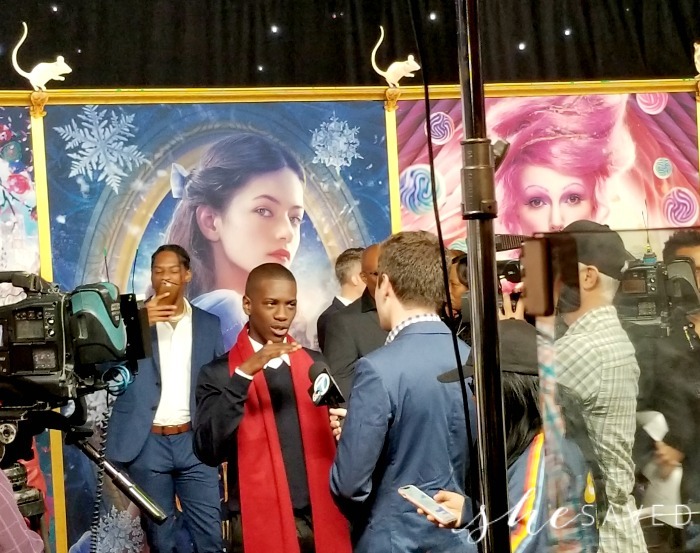 with star and main character Mackenzie Foy (“Clara”) and Misty Copeland (“The Ballerina”) we headed off to the pre-party celebration and it was in true Disney form, nothing short of magical. 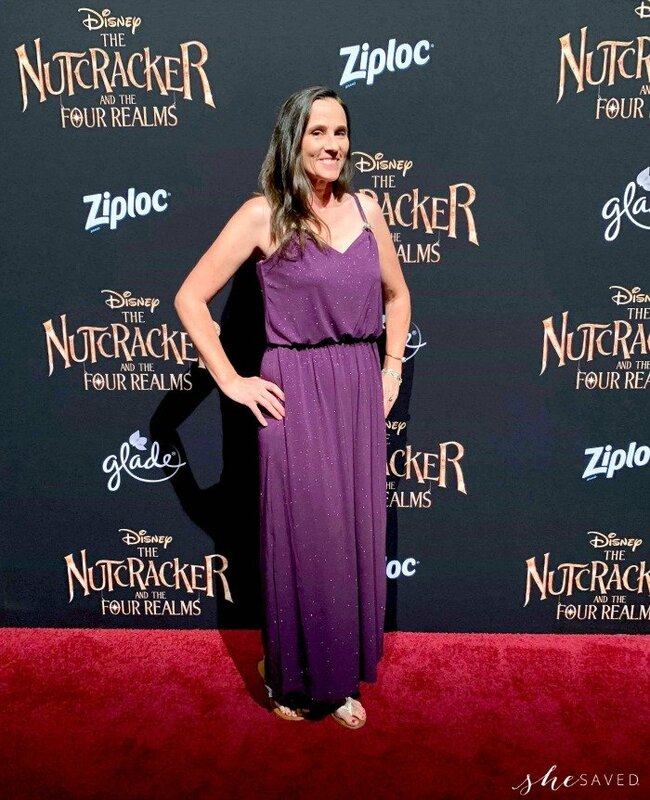 As we arrived at the party it was full of stunning colors and lights and the magic of The Nutcracker was in the air. 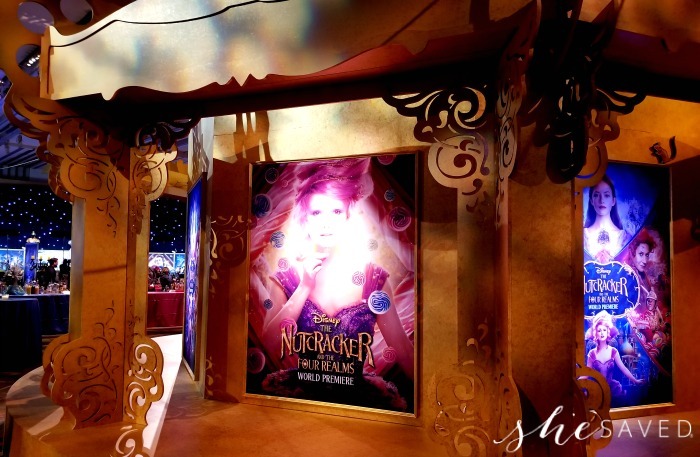 Playing off of each of the realms, the decor was fantastic and the setting was just so full of wonder and magic. 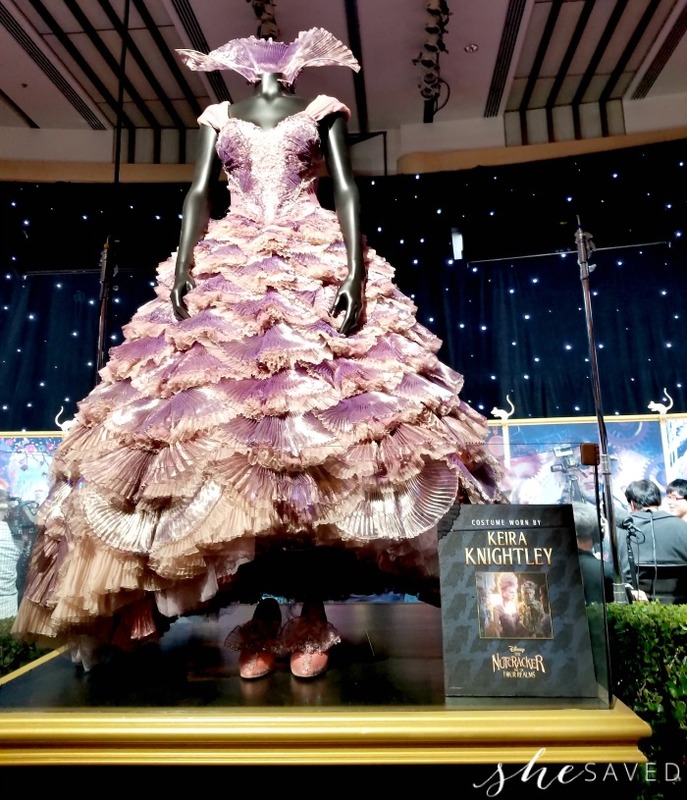 On display were some of the costumes from the film, and my personal favorite is this dress that was worn by Keira Knightly for her role as the Sugar Plum Fairy. 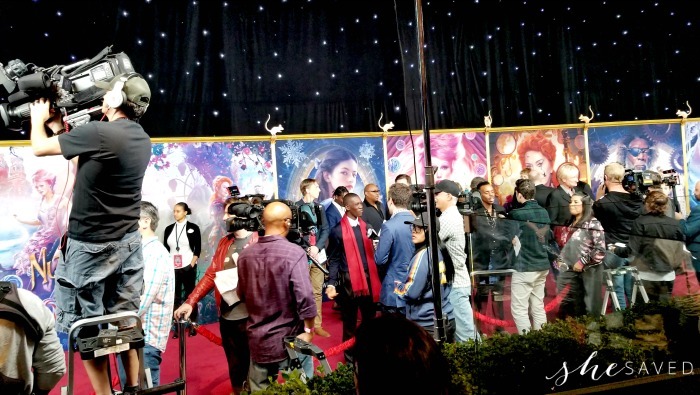 One of my favorite things about this premiere party is that they actually had the read carpet running around the outside of the party, so as you can see from the photo below, the paparazzi and media outlets were all lined up as the celebrities hit the red carpet. 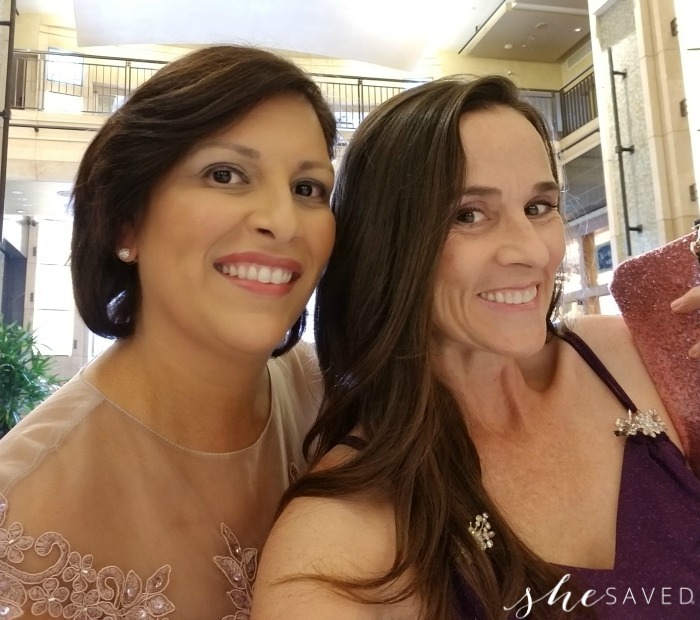 It was truly a fun and fantastic event, and the perfect lead up to the World Premiere of the movie, which was just across the street at the El Capitan Theater. 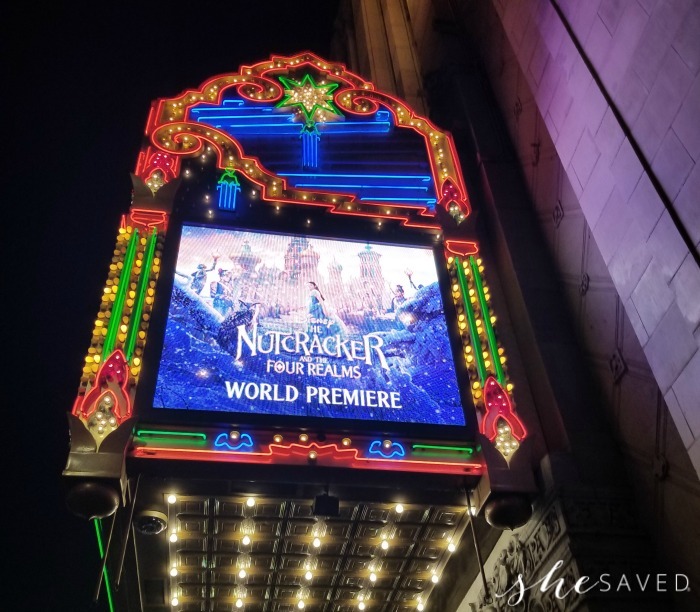 Once seated in the theater we enjoyed the wonderful organ music before the show and then in true El Capitan Theater form, the organ player and the organ disappeared into the stage and the movie began! Stay tuned for my review about this film, I can’t wait to share my thoughts with all of you! 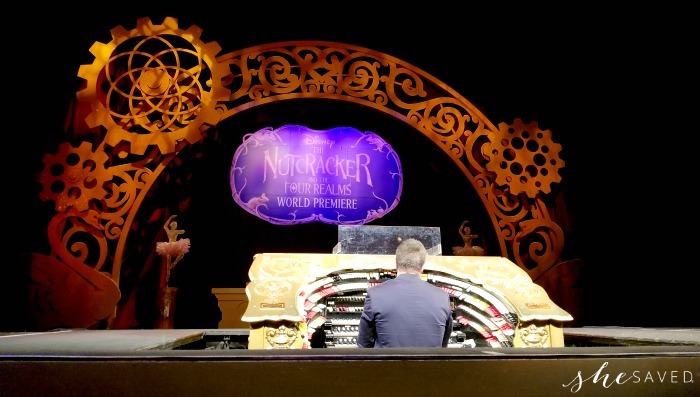 Watch the trailer to get a sneak peek at THE NUTCRACKER AND THE FOUR REALMS! Gah… this gives me goosebumps!! theatres everywhere on November 2nd! 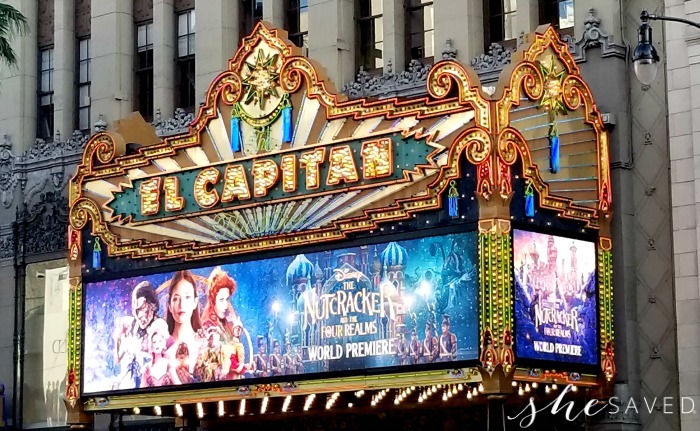 « Last Chance Sale: How to Save on a Holiday Trip to Disneyland!